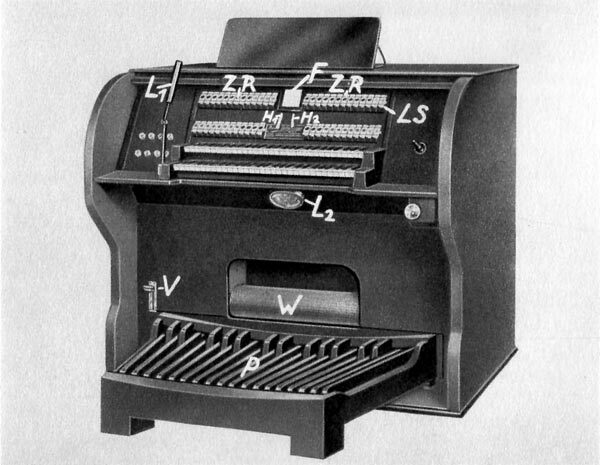 The Magneton, designed by Wilhelm Lenk at the University of Vienna, was a tone-wheel organ-like electronic instrument based on the same principles as Cahill’s Telharmonium (c1900) and the later Hammond Organ of Laurens Hammond and John Hanert; the electromagnetic principle of producing a voltage tone and associated timbres by spinning varied shaped metallic wheels within a magnetic field. 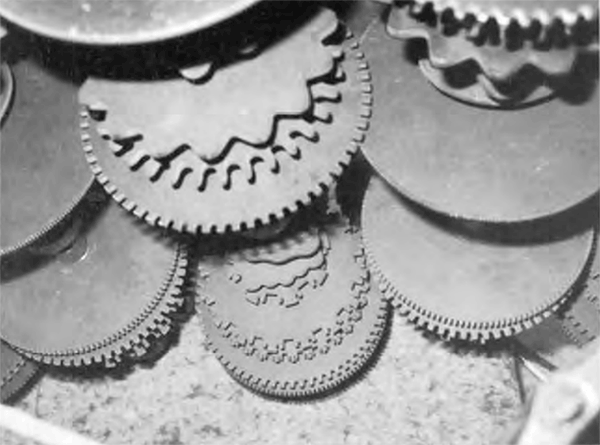 Tone-wheels of the Magneton arranged over 12 axles. Technology Museum Vienna. The instrument’s contribution to tonewheel technology was to achieve a constant fixed rotation by using a frequency controlled motor regulator. This allowed the player to easily and accurately transpose the instruments switch at the flick of a switch. 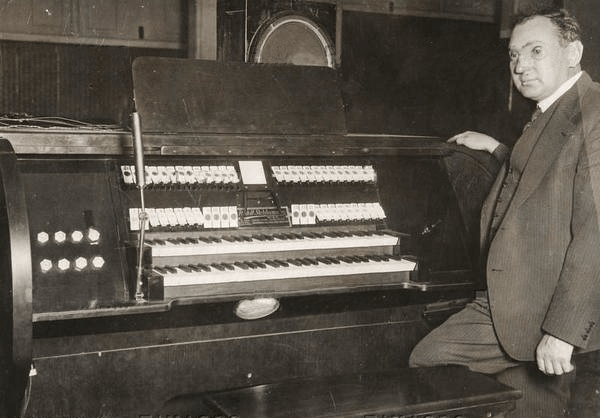 The first promotional model of the instrument was produced by the Vienna piano company Stelzhammer in 1930 – four years before the first Hammond organ hit the market. The instrument was designed as a practice instrument for ‘real’ pipe organs and as a way of encouraging active participation from the congregation in sacred music (as espoused by the “Popular Liturgy Movement” in pre-war Austria). 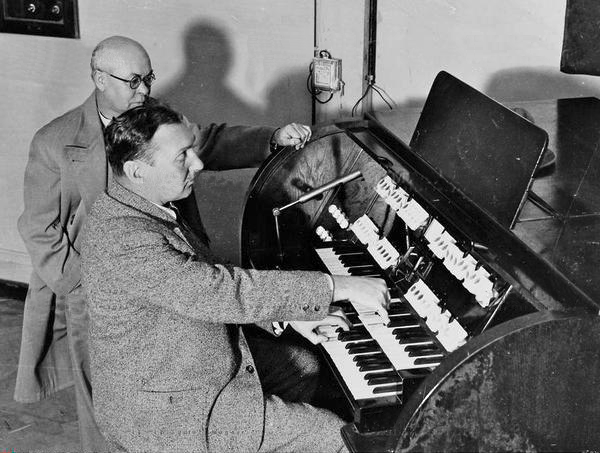 The Stelzhammer Magneton tone wheel organ, 1930. Despite a promising start, the Magneton failed commercially – only a few production models were built. A single surviving model can be found at the Vienna Museum of Technology, Austria. 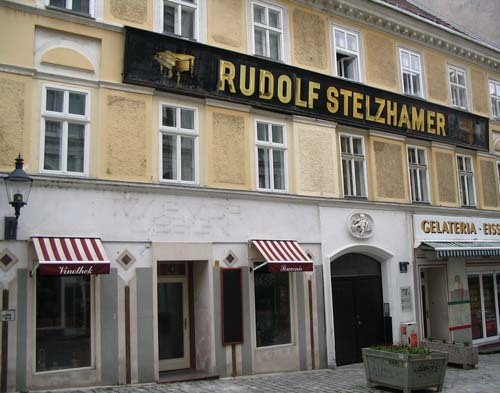 The Stelzhamer Piano shop at Barnabitengasse 1060 Wien. Franz Lechleitner: Selenophon. In: Oesterreichisches music lexicon. Online edition, Vienna 2002 ff. ISBN 3-7001-3077-5; Print Edition: Volume 4, Austrian Academy of Sciences, Vienna 2005, ISBN 3-7001-3046-5.